Learn how to create a paper and source citations in MLA style. See and example of how a paper is formatted in MLA. You can also see how your citations should look both in the text of your paper (in-text citations) and also the full citations in your Works Cited list. The Modern Languages Association (MLA) style is commonly used for citing references in humanities courses, such as English. A summary of the main changes from the 7th to the 8th edition can be found on the MLA website. MLA style consists of two parts: a brief reference in text, which points to a more detailed entry in the Works Cited list (p. 19). This arrangement is intended to minimize reader distraction while still providing information on source material. Where did you find the source? 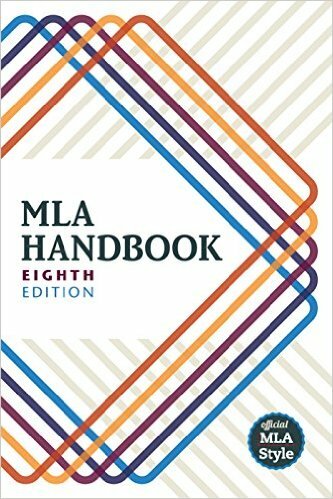 This guide is a derivative of the MLA Citation Style 8th Edition guide by Red Deer College Library. It is licensed under a Creative Commons Attribution-NonCommercial-ShareAlike 4.0 International License.